Where is Montussan? It's a small town in France, and its obscurity is the reason why the Board reversed a Section 2(e)(2) refusal of the mark MONTUSSAN, finding it mark not primarily geographically descriptive of "alcoholic beverages containing fruit; alcoholic cocktail mixes; alcoholic cordials; aperitifs; hard cider; liqueurs; prepared alcoholic cocktail; spirits; wines and fortified wines." In re Montussan Apertifs SAS, Serial No. 86172886 (August 12, 2015) [not precedential]. The first requirement for a Section 2(e)(2) refusal is that the mark be the name of a place generally known to the public. If the geographic meaning of a mark is obscure or remote, the location is not generally known. See, e.g., In re Newbridge Cutlery Co., 113 USPQ2d 1445 (Fed. Cir. 2015) (Newbridge, Ireland not a generally known location). [TTABlogged here]. 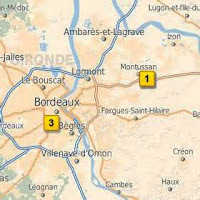 The Examining Attorney relied on several webpages indicating that Montussan is a town of 2991 inhabitants in the Gironde department of France, approximately 15 kilometers from Bordeaux. It features one bed-and-breakfast hotel, vineyards, and at least one company providing lessons in viniculture. 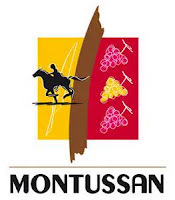 He maintained that Montussan is not remote or obscure to American purchasers of wine, particularly those originally from France or with other connections to France or Bordeaux. The Board, however, found the evidence insufficient, concluding that Montussan "is very much an obscure location and would likely be unknown to the relevant American consumer." At most, the evidence shows that the town of Montussan might be known to individuals who traveled to the town itself or have another reason to be familiar with the wines and spirits originating there. We note the absence in the record of evidence of such consumer recognition among American consumers. Similarly, there is no evidence in the record of any recognition of Montussan among Americans of French ancestry or those with connections to France, the Bordeaux region, or French winemaking. In short, there was no evidence that American consumers of wine are familiar with applicant, its products, or the town of Montussan. 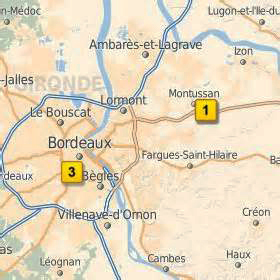 The Examining Attorney further contended that because Montussan is near Bordeaux, which is famous for wine among American purchasers, Americans would likely know of Montussan as a geographic place in the Bordeaux region that produces Bordeaux wine. However, the Board observed, he provided no evidence to support this contention. "The location of this town of less than 3000 inhabitants 9 miles from a much larger or more prominent city reveals nothing about what the relevant American purchaser might perceive the word 'Montussan' to mean ...."
TTABlog comment: Montussan? Wine? Must be some place in France, I thought. But where? Got me. I think that should be WHYRR. Would You Have Refused Registration? Even though not precedential, this should be a helpful decision for USPTO’s examining attorneys. Reason? It supports an examining attorney’s decision to not issue a 2(e)(2) refusal even where there’s quite a bit of evidence indicating the applied-for mark is/includes a geographic place name. My surmise is, fearing internal quality review challenges, examining attorneys err on the side of making such refusals. This TTAB decision provides examining attorneys, senior attorneys, and managing attorneys backing and reasoning for making a “no call” (i.e., not issuing the refusal). I prevailed against an initial refusal on a 2(e)(2) where the evidence of the town's notoriety as a tourist destination was debunked in a website that told potential tourists that there was nothing worth visiting there, and even the evidence supplied by the Examining Attorney said that the town was "grey and boring." 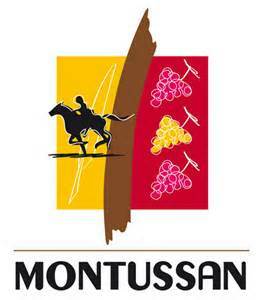 And as a French major and wine aficionado and frequent traveler to France, no, I've never heard of MONTUSSAN either.